It All Started with Flubber: Hour of Code and Beyond! Hour of Code and Beyond! Did you participate in Hour of Code last week? Our students loved learning about coding throughout the week as we did!! Even if you missed it, it's not too late to jump in and introduce your students to coding. Just in case Hour of Code is new to you, we'll share the basics with you to get you going! Side note: With the holidays upon us, are you looking for something fun and engaging for the last day (or that last week) before your break? Trust us, THIS IS IT! Your kids will LOVE it, you'll be doing some very meaningful work as they tap into their creative side to problem solve! WHO? Any age, grade, and level of learner can participate—seriously, there really is something for everyone! WHAT? Coding is really an opportunity to nurture logic, problem-solving, and creativity in our students!! WHEN? Well, the week of Dec. 4-10 is set aside for a huge push to get kids coding—BUT anytime is a good time for kids to become exposed to coding basics! We're planning to use some "structured-but-non-curriculum-based" time before the holiday break to extend our coding skills—yes, our kids are that intrigued and interested....they've been begging for more time to code! These are 3rd graders, not middle or high schoolers! WHERE? Coding can be done at home or at school, on iPads or laptops or desktop computers! Many of our students have wifi at home and have continued their coding at home. Some have even taught older brothers and sisters to code! WHY? Beyond simple coding, this also is a chance to broaden students' participation in computer science activities, which will give your students a chance to develop a foundation for many skills they may need as they pursue many career paths in the 21st century. (Don't skip the brief into video on CODE.ORG, it's filled with many more "WHY's!" HOW? 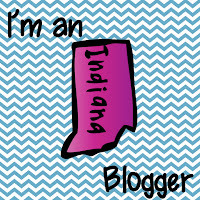 Visit Code.org for more information! Also, check out this link to program your own Google logo! 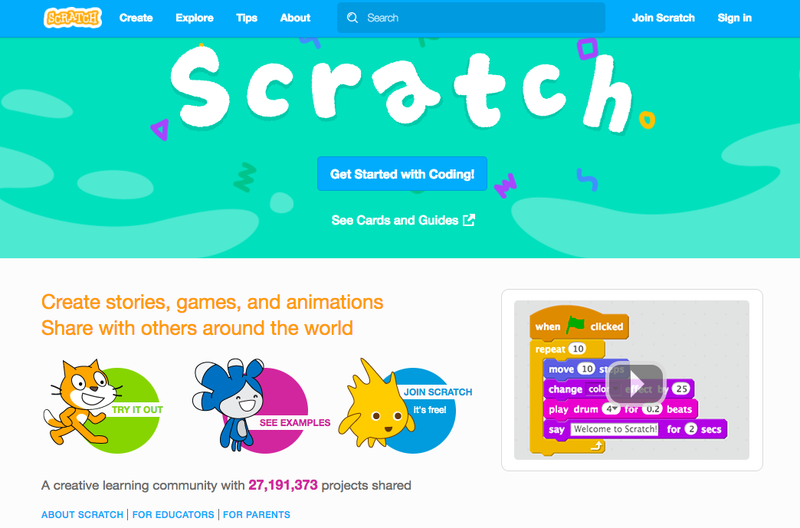 SCRATCH is a fun place for beginners, too. 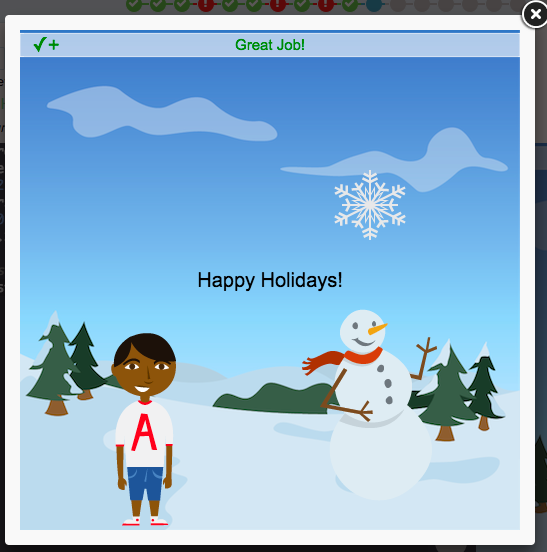 KODABLE will be sure to have your kids engaged and coding quickly. CODESTERS is a fun place with step-by-step directions and many options. Our kids started with ANGRY BIRDS, and then went to anything they wanted after completing a dozen or so lessons on there. Many went to MINECRAFT or ANIMATE YOUR NAME. 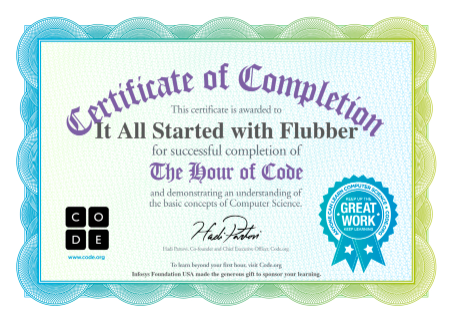 There are certificates for all who work through the levels of coding, too. 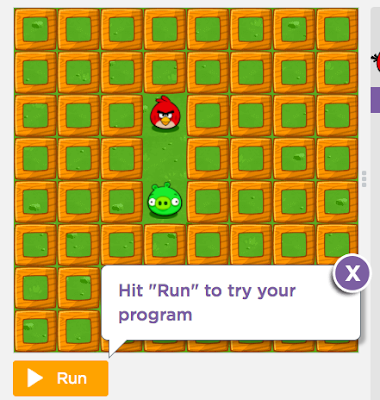 Just have students click on "I've finished my hour of coding" at the top of their screen on Code.org. Please be sure to leave us a comment below to let us know how your kids did with coding! We're sure they will be just as hooked on coding as our kids are!